Join us at Castle Rock Colorado's beautiful Phillip S Miller Park. At an altitudes of 6,200 feet this trail run is invigorating, highlighting the freshly cut soft surface trails that are a part of the town’s largest ever park project. The trail race will begin near Castle Rock’s state-of-the-art Miller Athletic Complex, a beautiful $30 million venue. The trail race course will showcase the newly constructed trails in Phillip S Miller Park and the single and double track trails. 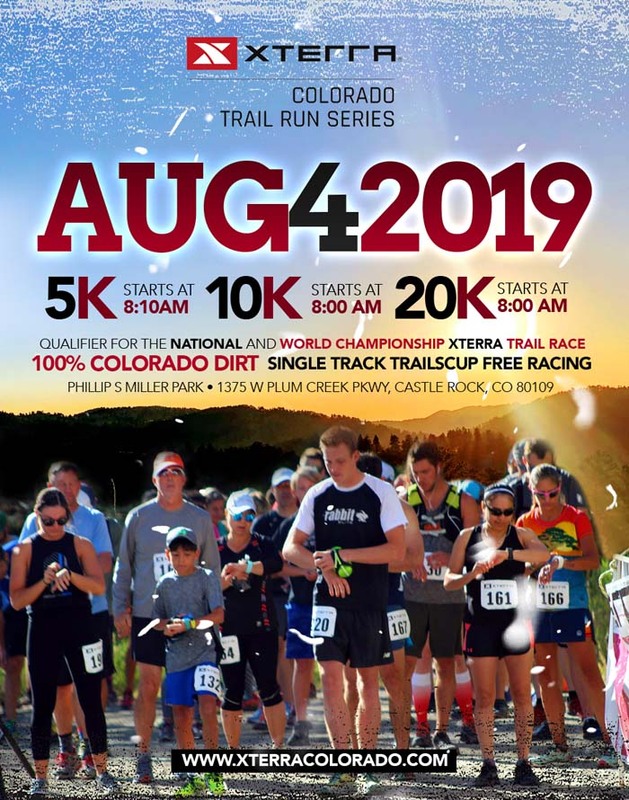 Don’t forget to take in the impressive views of the surrounding scenic views of Castle Rock Colorado as the trail twists and winds over the flowing race course. There are plenty to do for the entire family. The Philip S. Miller Park’s outdoor space includes a playground with 60-foot slide, a 200-step challenge staircase, a turf field, and the Headrush Towers—40-foot and 80-foot towers that kids can climb up, repel down, or even free fall from.